Julia Hetta for Another Magazine. Model Maggie Mauer shows her androgyne side for Numéro Magazine. Julia Hetta captures the delicate and wiry Maggie for the Gemeaux-story. 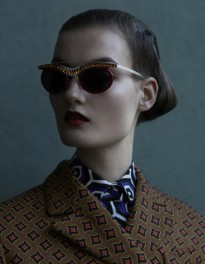 Kirsi Pyrhonen »Noblesse Nordique« by Photographer Julia Hetta for Le Monde Magazine. The Swedish photographer Julia Hetta graduated from the Gerrit Rietveldt Artacademy in Amsterdam in 2004. 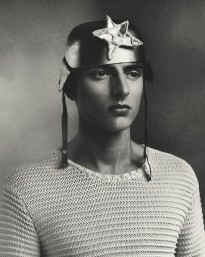 Her work has since then been shown in magazines and exibitions around Europe, e.g. Holland, Belgium, Sweden and France. 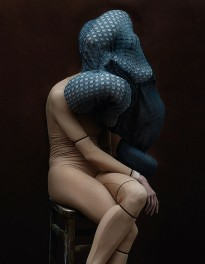 The images of Julia Hetta contains both the very beautiful, sensous and romantic as well as the dark and lurid. Her colour work has a nearly renaissance palette quality to it, while her black and white work is rich in contrast and does not fear the very dark, the very black. Clients: Acne Paper, Another Magazine, Dazed and Confused, Elle, ArtLover, Double, Costume, Dossier Journal, Rodeo, Warner Music, Lovisa Burfitt, J.Lindeberg, Diana Orving, Lowe Brindfors, etc.